1963, The Beatles’ first US album, Introducing The Beatles was pressed by Vee-Jay Records, who thought they had obtained the legal rights from EMI affiliate, Trans-Global Records. When it was finally released in January, 1964, Capitol Records would hit Vee Jay with an injunction against manufacturing, distributing, advertising, or otherwise disposing of records by the Beatles. 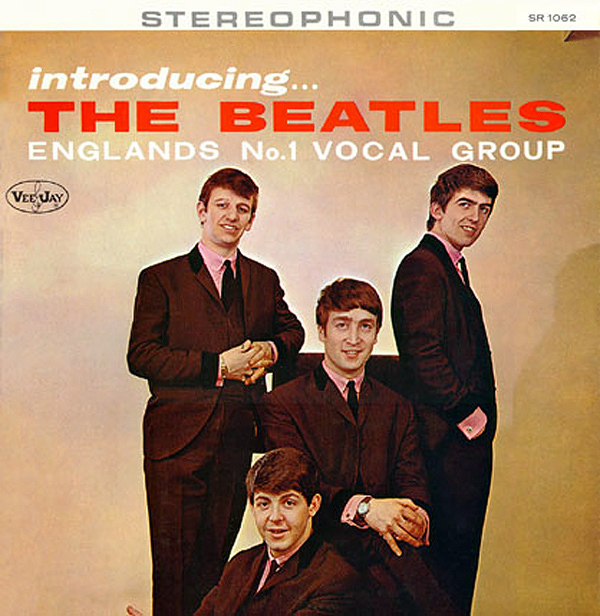 After a trial, Vee-Jay was allowed to release any Beatles records that they had masters of in any form until October 15th, 1964. After that time, they no longer had the right to issue any Beatles product. 1964, The Beach Boys performed at Assembly Hall at the University of Illinois, Champaign, Illinois. 1965, Mick Jagger, Brian Jones and Bill Wyman from The Rolling Stones were each fined £5 at East Ham Magistrates Court, London after being found guilty of insulting behaviour at a Romford Road service station. The three had all urinated against a wall. 1966, The Who played at Central Pier in Morecambe, Lancashire, England. 1967, Pink Floyd appeared at The Beach Ballroom, Aberdeen, Scotland. The venue is home to one of Scotland’s finest dance floors, famous for its bounce, which floats on fixed steel springs. During the 1960s The Beatles, The Small Faces, and Cream all appeared at the Beach. 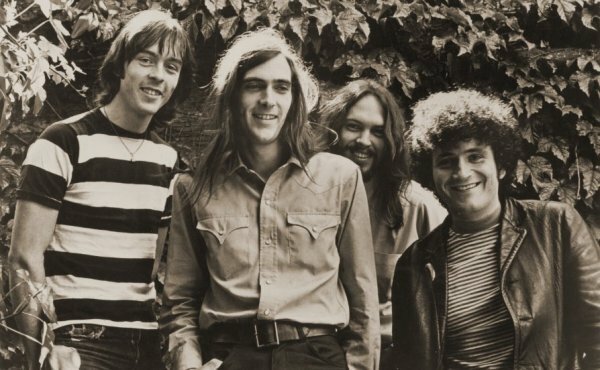 1967, Quicksilver Messenger Service and Big Brother & the Holding Company appeared at the Convention Hall, San Diego, California. 1969, Aretha Franklin was arrested for causing a disturbance in a Detroit parking lot. After posting $50 bail, she ran down a road sign while leaving the police station. 1969, The Doors perform at the Aquarius Theater in Hollywood, California, portions of the show appear on Absolutely Live. Later the entire concert was released on CD as well. 1971, John and Yoko spent the second day filming the Imagine promotional film at their home in Tittenhurst Park Ascot, England. Today’s footage included the morning walk on the grounds though the mist and John Lennon singing “Imagine” in the white room on his white piano. 1972, Roxy Music appeared at Civic Hall, Dunstable, Bedfordshire, England. 1972, The Grateful Dead play the Paramount Northwest Theater in Seattle, Washington. 1972, Paul and Linda McCartney were arrested in Sweden for possession of drugs. 1972, The Rolling Stones performed at Mellon Arena in Pittsburgh, Pennsylvania. 1973, Humble Pie and Mountain appear at Kiel Auditorium in St. Louis, Missouri. 1973, Van Morrison appeared at Birmingham Town Hall, playing his first UK show for over 2 years. 1974, The Eagles release their third album, On the Border. 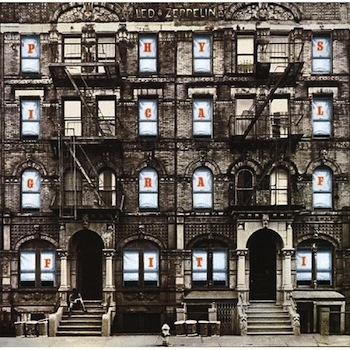 1975, Number one on the Billboard album charts is Led Zeppelin’s Physical Graffiti. Second is Olivia Newton-John with Have You Never Been Mellow. Number three is Bob Dylan’s Blood on the Tracks. 1975, Three Dog Night appear at the Capital Centre, Landover, Maryland. 1975, The Rolling Stones go into the Musicland Studios in Munich to begin recording Black and Blue. 1977, Stiff Records released My Aim Is True the debut album from Elvis Costello in the UK. 1978, The Police sign with A&M Records. 1979, The Allman Brothers Band appeared at Nassau Veterans Memorial Coliseum, Uniondale, New York. 1981, Tom Petty and the Heartbreakers played at Maple Leaf Gardens, Toronto. 1982, Van Halen performed at BJCC Arena, Birmingham, Alabama. 1989, Simply Red scored their first UK top charting album with their third release A New Flame. 1989, The soundtrack album Batman by Prince started a six-week run at number one on the US album chart. 2003, Coldplay played the second of two nights at the Hordern Pavilion in Sydney, Australia on their A Rush of Blood to the Head world tour. 2004, American singer, songwriter and producer Arthur Crier died of heart failure. Member of The Chimes and had worked with Little Eva, Gene Pitney, The Four Tops, The Temptations, Ben E. King, Johnny Nash and The Coasters. 2005, Founder member and singer with The Chi-lites, Eugene Record died of cancer. Had the 1972 US No.1 single “Oh Girl” and 1972 UK No.3 single “Have You Seen Her.” He also released three solo albums. 2006, Johnny Cash was at number one on the US album chart with American V: A Hundred Highways. Released posthumously on July 4, the vocal parts were recorded before Cash’s death, but the instruments were not recorded until 2005.